At the HDI 2015 Conference and Expo in Las Vegas, I discussed CEM and the cloud and managing the risks and challenges of moving into the cloud. The topic is a bit of departure from my traditional areas of specialty. However, organizations need to understand how moving to the cloud impacts the complete view of the customer experience and must be managed across different platforms and service providers. 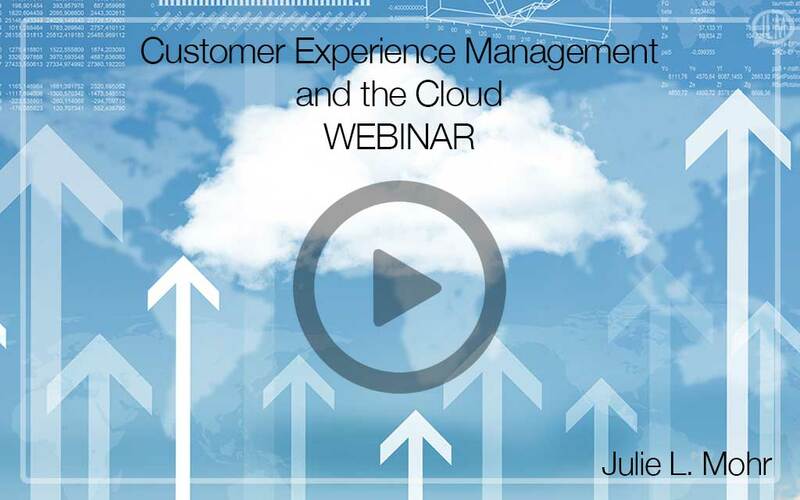 CEM and the cloud is a topic worthy of further investigation and research. Hopefully, in the next few years, I can spend the time to identify other trends and practices to share. As organizations move more and more of their IT services into the cloud, what will be the impact on managing the customer experience? How does cloud computing impact our ability to capture the knowledge required to understand the end-to-end experience? This session looks at the integration of cloud computing, knowledge management, and customer experience management, identifying several benefits, risks, and critical success factors.